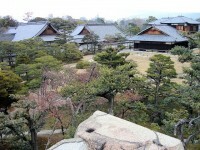 Tokyo is definitely a very interesting city: a combination of modern and traditional Japanese aspects. The capital is also an important cultural center, with many museums, theaters, traditional inns and cinemas. The majority of Tokyo’s cinemas are located in the central area of the city and in shopping centers. 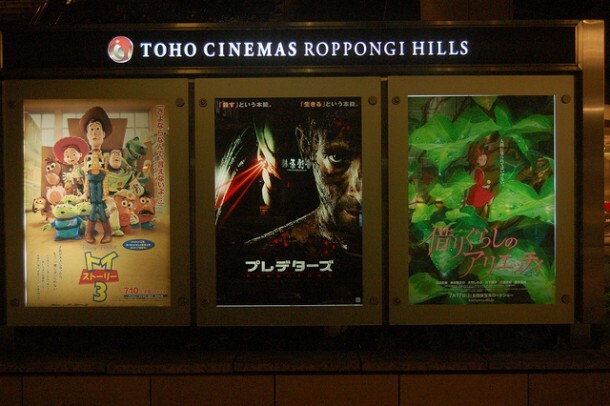 Toho is the dominant cinema chain in the city: its 11 theaters play English movies as well. In Japan, non-English movies are not dubbed, they only have subtitles in Japanese. The only exceptions seem to be the animated movies, which are always dubbed. In Japanese, dubbed films are called fukikae, and the subbed films are jimaku. If you want to watch a good movie in one of the cinemas of the capital, you should read this article about the best cinemas in Tokyo. 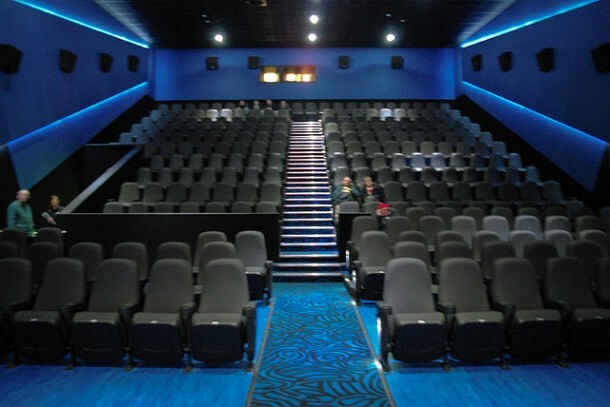 It is likely that you will find a cinema screening a movie which will take your fancy. 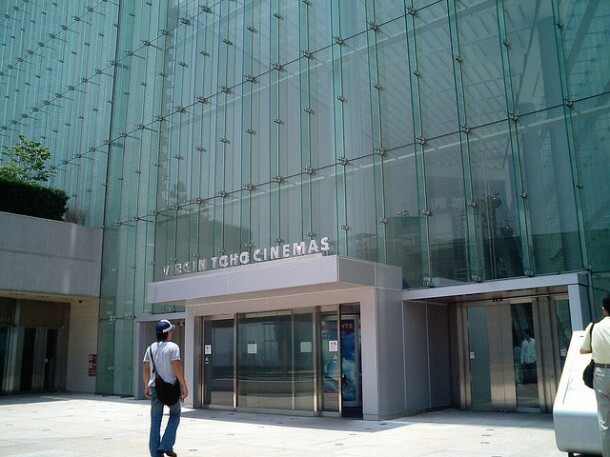 This cinema is located near Fuchu Station and it is a very modern and stylish place. The cinema complex has 9 screens, playing Japanese and English movies as well. Just like the program of other cinemas, Fuchu’s screening can be checked in The Japan Times or on The Internet Movie Database, available for every cinema. 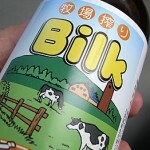 The address is Fuchu-shi, Miyamachi 1-50, Tokyo and their phone number is 042 358 5001. It is a smaller, but very good place to watch a movie. With only one screen and 395 seats it is still one of the best cinemas of Tokyo. Yurakucho, as well as Fuchu (and the other theaters of the capital) screens movies both in English and in Japanese. The address of this cinema is: Chiyoda-ku, Yurakucho 2-2-3, Tokyo and the phone number: 033 591 5357. The cinema is located near Kinshicho Station and it is located in Olinas mall. Kinshicho Cinema has 8 screens, so it is quite a big theater. On their website, online ticket booking is available as well. 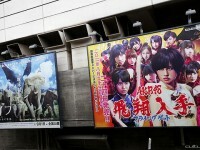 The address of the cinema is Sumida-ku, Taihei 4-1-2 Tokyo. You can contact them on the phone as well; their number is 035 637 1040. This cinema complex has 13 screens, for English and Japanese movies as well. Located in Odaiba Aqua City, a huge entertainment center, Mediage is quite easy to reach. It is one of the biggest cinemas in Tokyo as well. Their address is Minato-ku, Odaiba 1-7-1, Tokyo. Their phone number is 035 531 7878. 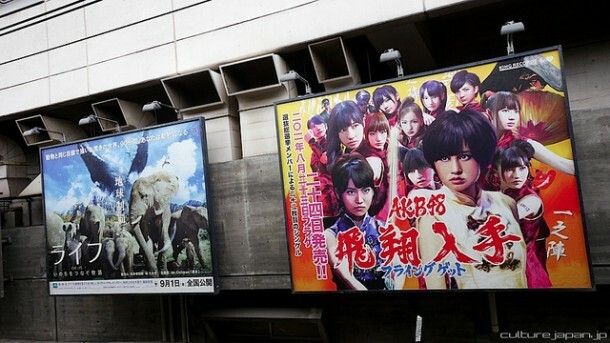 This cinema is located near Minami Osawa Station and it is famous for showing the larges movie releases. Nine screens are available here, for both Japanese and English movies. The address is Hachiojo-shi, Minami Osawa 2-3, Tokyo. The phone number of the theater is 042 679 6180. It is one of the most popular cinemas of the city, located in the famous Roppongi Shopping area. With a total number of 9 screens, it is considered to be a big theater. 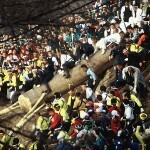 The address is Minato-ku, Roppongi 6-10-1 and the phone number is 036 406 6000. This cinema is located in the area of Tobu Nishi Arai Station. It has 10 screens, mostly for Japanese, but sometimes for English movies too. The address is Adaachi-ku, Nishi Arai, Sakae-cho 1-20-1, Tokyo. Their phone number is 035 888 1040.